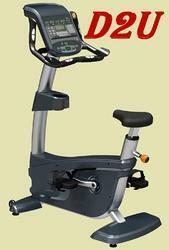 In order to meet excellent quality standards, we are supplying Cosco Exercise Bike. We are engaged in offering Cosco Exercise Bike. - 500 mm Flywheel for complete exercise. - Permanent Link Dual action handlebars cycling and rowing simultaneously delivering the benefits of exercise to lower body and upper body. - Assembly Size : 1050 x 540 x 1160mm. - Big LCD shows time, speed, distance, calories, pulse. - Vertical & Horizontal Seat adjustment. - 8 Level Magnetic Resistance. - Assembly Size : 900 x 540 x 1350 mm. Our company holds vast experience in this domain and is involved in offering Cosco Exercise Bike. Our reputed entity is engaged in supplying Cosco Exercise Bike. We are a top notch supplier of Cosco Exercise Bike. - Net Weight : 55 Kgs .. Displays : Speed, Time, Calories & Distance. 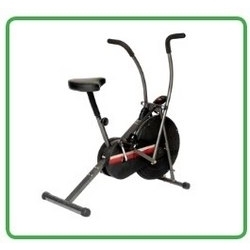 We are a renowned name, which is engaged in offering Cosco Exercise Bike.